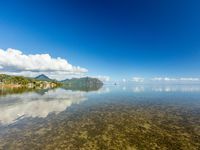 He'eia Fishpond (view panorama) is located at Kane'ohe Bay on Oahu's windward coast. It encompasses 88 acres and its walls are about 5,000 feet (1,524 m) long. 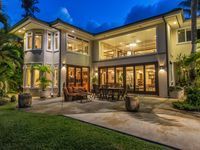 It is one of the few fishponds left on Oahu. It is not known when it was built. 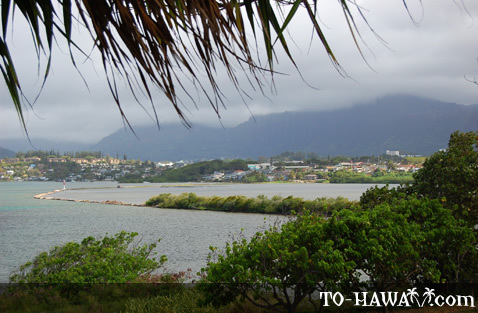 Fishponds in the old Hawaii were built to maintain a ready supply of live fish. 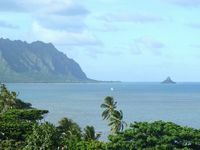 He'eia Fishpond can be seen from He'eia State Park. 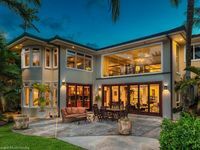 Sea Breeze Estate (9bd) w/ pool and hot tub! 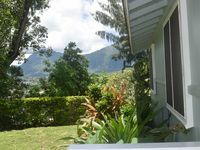 BEAUTIFUL VIEWS OF KO'OLAU MOUNTAINS & KANEOHE BAY! Sea Breeze Manor - Has a shared pool and a hot tub!